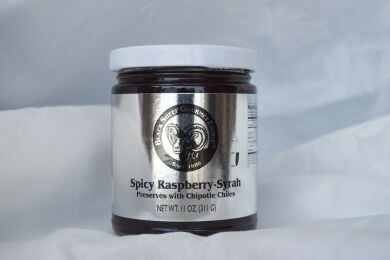 Rich seedless raspberries blended with syrah wine reduction complemented by subtly smoky chipotle. Unforgettably tasty on nut butter toast, brie, goat & cream cheeses. Undeniably delicious on salmon, lamb, pork, duck, roast turkey & (surprise!) chocolate ice cream! 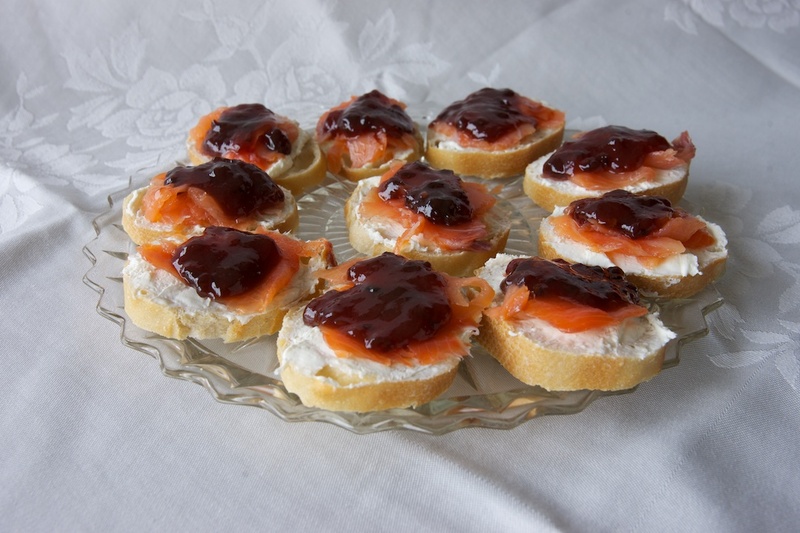 Enjoy this super-easy appetizer see below: spread whipped cream cheese on your favorite cracker or crostini, place a piece of smoked salmon on the cream cheese and top with a spoonful of the Spicy Raspberry-Syrah Preserves. Serve and enjoy the compliments!